Adjustable Tilting up/down (+10 degrees up, -20 degress down) and Swivel left/right (+-90 degrees) Wall Mount Bracket for LCD Plasma (Max 110Lbs, 32~50inch) - This is an angle adjustable wall bracket for LCD or Plasma TV's. 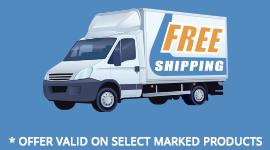 This Flat Wall Mount supports most any 32in to 50in flat panel screen and plasma TVs up to 110 lb weight that comply with VESA mounting standards. This mount can be single stud mounted (see note below). The slim wall plate keeps the screen close to the wall for a very discreet installation that is perfect for corner mounting, digital signage, or home theaters. The mount includes simple to align brackets and a unique wall plate that can be mounted to a single wood stud, two wood studs, or concrete. 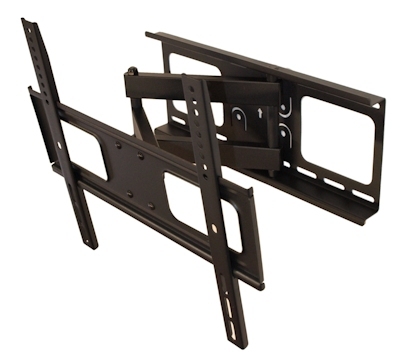 Will fit most small to mid-sized flat panel plasma and LCD TVs with mounting patterns up to VESA 400x400. 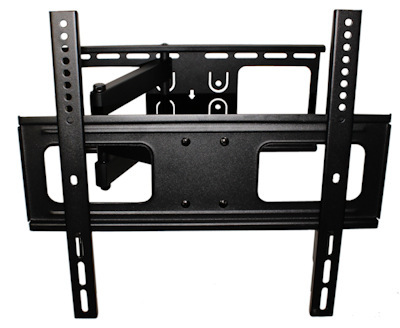 Wall Back mount plate width: 18.9"
Wall Back mount plate height: 8"
TV Front mount plate width: 18.9"
TV Front mount plate height: 16.3"
Extension from wall: 2.5" to 18.7"
mount" it on that single stud. You should also be ABSOLUTELY SURE that you are locating your lag bolts in the CENTER of the wooden stud. If you are unable to "center mount" (which means that you are putting the lag bolts through the mount plate in the CENTER of the mount plate), you must mount in such a manner that you are using 2 studs.